The North Alaska Inupiat Eskimo people are a Alaskan Native American people who reside in Northwest Alaska and in Canada. In Canada they are known as the Eskimo, Inuktitut. 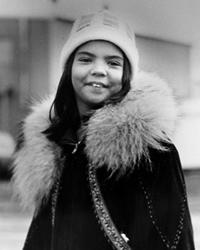 The Inupiat people are a cluster of Inupiat people organized into two dialect people: the North Alaska Inupiat Eskimo people and the Northwest Alaska Inupiat Eskimo people. They adhere to Roman Catholicism, Protestantism, and traditional ethnic beliefs. Protestant congregations are located in Kotzebue, including Assembly of God, Church of Christ, and a non-denominational congregation. The Church of Latter Day Saints (Mormons) is also present in Kotzebue. A Episcopal Church is in the small town of Kivalina. Pray God will send people to minister to both their physical and spiritual needs in the isolated locations that they reside.